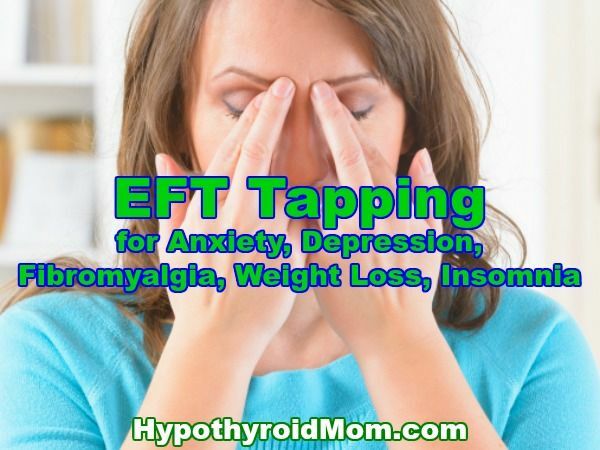 Tapping, also known as EFT (Emotional Freedom Techniques), is a powerful holistic healing technique that has been proven to effectively resolve a range of issues, including stress, anxiety, depression, phobias, emotional disorders, chronic pain, insomnia, addiction, weight control, and limiting beliefs, just to name a few. The basic Tapping technique requires you to focus on the negative emotion at hand – a fear, a worry, a bad memory, an unresolved problem, or anything that’s bothering you. While maintaining your mental focus on this issue, you use your fingertips to tap 5-7 times on each of the 9 specific meridian points of the body. Tapping on these meridian points in sequence while concentrating on the negative emotions engages both the brain’s limbic system and the body’s energy system, encouraging a sense of safety and resolution. And as the scientific field of epigenetics is proving, when you change your internal environment – your emotions and beliefs – external changes in your mental & physical health will follow. These researchers of this study wanted to take another step in this direction to see if there were corresponding dips in cortisol levels after EFT Tapping treatment. Researchers recruited study participants (aged 18-80) from an online site advertising a free cortisol test. They were neither current patients nor did they have any clinical diagnoses. After the individual sessions were complete, a second saliva kit sample was taken and a second questionnaire filled out. All test sample kits were then sent to be analyzed. What’s the History Behind Tapping? It began in 1980, with a psychologist by the name of Roger Callahan, and a patient with an extreme phobia towards water. Mary’s fear of water controlled her life and kept her from performing many otherwise normal daily activities. She was unable to take her children to the beach, and found it impossible to drive near the ocean. She grew fearful when it rained, and could not even stand the sight of water on TV. She even had vivid nightmares involving water. Dr. Callahan and Mary had been working on this problem together for over a year. Finally, Mary worked up the courage to sit within sight of the pool at Dr. Callahan’s house. Even doing this caused Mary extreme distress, and though she found ways to cope with the intense fear and emotional pain, she had not yet overcome her phobia. Her fear of being near the water caused Mary to have stomach pains – a common “gut reaction.” Dr. Callahan had recently been studying traditional Chinese medicine, which included learning about the meridians and how they worked. Suddenly he had an inspiration. 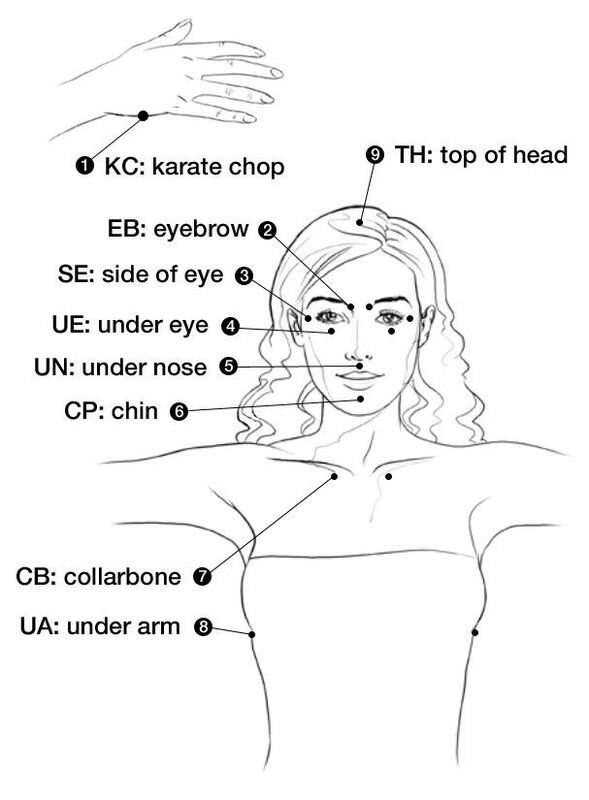 Remembering that there was an acupuncture point for the stomach meridian on the cheekbone, he asked her to tap there, thinking it might help with her stomach pains. Mary tapped her cheekbone as directed, and this little action changed medicinal history! The response seemed miraculous, to both Mary and Dr. Callahan. Her stomach pains disappeared. But even more amazingly, her fear of water disappeared too! She ran down to the pool and began splashing herself with water, rejoicing in her newfound freedom from her phobia. 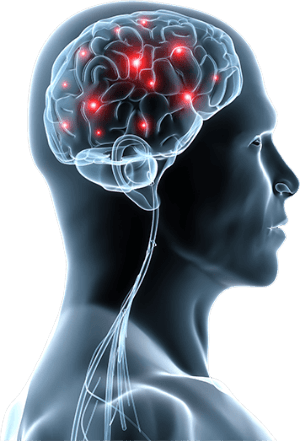 Based on this discovery, Dr. Callahan began a series of investigations to develop and refine this technique, which he termed “Thought Field Therapy.” It was fairly complex, and required a trained practitioner to use specific algorithms and techniques to determine which meridian points to stimulate to obtain the desired results. Gary Craig, an engineer in California, trained under Dr. Callahan’s tutelage in the 1990’s, learning the procedures for TFT. As time passed, he began to improve the process by creating a simpler tapping sequence that could be easily learned and repeated, even by the patient him/herself. The result was the development of a new type of therapy that Gary named EFT (Emotional Freedom Techniques)t. But perhaps even more importantly, he created a community around EFT, allowing the technique to be learned, applied, and shared freely. Because of this, hundreds of thousands of people all over the world have used Tapping to resolve emotional problems and physical conditions. Tapping can be used for everything – try it on everything! In this example, we’ll focus on general anxiety. Note: This approach is different from traditional “positive thinking.” You’re not being dishonest with yourself. You’re not trying to obscure the stress and anxiety inside yourself with a veneer of insincere affirmations. Rather, you’ve confronted and dealt with the anxiety and negative feelings, offering deep and complete acceptance to both your feelings and your self. Now, you’re turning your thoughts and vibrations to the powerful and positive. That’s what makes Tapping so much more effective than the “positive thinking” techniques that many of you have already tried. It’s not just a mental trick. Instead, you’re using these positive phrases and tapping to tune into the very real energy of positivity, affirmation, and joy that is implicit inside you. You’re actually changing your body’s energy into a more positive flow, a more positive vibration. Nicolas Ortner is CEO of The Tapping Solution, a company with a mission to bring into the mainstream the simple, effective, natural healing method known as Emotional Freedom Techniques (EFT) or “Tapping”. He is the New York Times bestselling author of The Tapping Solution: A Revolutionary System for Stress-Free Living and The Tapping Solution for Pain Relief: A Step-by-Step Guide to Reducing and Eliminating Chronic Pain . 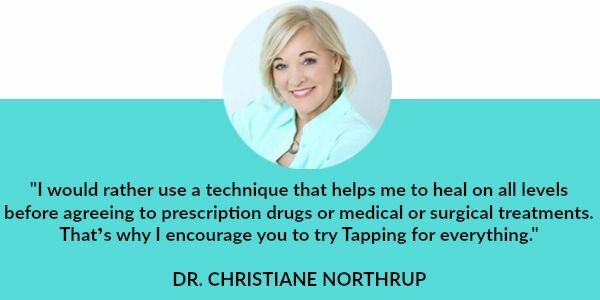 The Tapping Solution has been featured on The Dr. Oz Show, The New York Times, Today, Women’s Health, The Martha Stewart Show, The Huffington Post, and Psychology Today. Nick and the Tapping Solution team have raised over $1,000,000 for tapping-related charities such as Project Light, which aids genocide orphans in Rwanda, Africa, The Veterans Stress Project, supporting veterans with PTSD, You Can Thrive! a New York organization providing services for women with cancer, and The Tapping Solution Foundation, that Nick started in 2013 to support the community of Newtown, CT after the tragic shootings at the Sandy Hook Elementary School. Bougea, A.M., et al. Effect of the emotional freedom technique on perceived stress, quality of life, and cortisol salivary levels in tension-type headache sufferers: a randomized controlled trial. Explore (NY). 2013 Mar-Apr;9(2):91-9. Chatwin, H., et al. The effectiveness of Cognitive Behavioral Therapy and Emotional Freedom Techniques in Reducing Depression and Anxiety Among Adults: A Pilot Study. Integr Med (Encinitas). 2016 Apr;15(2):27-34. Church, D., et al. The effect of emotional freedom techniques on stress biochemistry: a randomized controlled trial. J Nerv Ment Ds. 2012 Oc;200(10):891-6. Church, D. Reductions in pain, depression, and anxiety symptoms after PTSD remediation in veterans. Explore (NY). 2014 May-Jun;10(3):162-9. Clond, M. Emotional Freedom Techniques for Anxiety: A Systematic Review With Meta-analysis. Journal of Nervous and Mental Disease 2016 May;2014(5):388-395. Nelms, J.A., Castel, L. A Systematic Review and Meta-Analysis of Randomized and Nonrandomized Trials of Clinical Emotional Freedom Techniques (EFT) for the Treatment of Depression. Explore (NY). 2016 Nov-Dec;12(6);416-426. Patterson, S.L. The effect of emotional freedom technique on stress and anxiety in nursing students: A pilot study. Nurse Educator Today. 2016 May;40:104-10. Sebastian, B., Nelms, J. The Effectiveness of Emotional Freedom Techniques in the Treatment of Posttraumatic Stress Disorder: A Meta-Analysis. Explore (NY). 2017 Jan-Feb;13(1):16-25. Stapleton, P., et al. Secondary psychological outcomes in a controlled trial of Emotional Freedom Techniques and cognitive behaviour therapy in the treatment of food cravings. Complement Ther Clin Pract. 2017 Aug;28:136-145. I’m 54 and I’ve lived with hypothyroidism since diagnosis in 2005. Long story short my Endocrinologist wouldn’t do anything but go by my numbers so I went off meds and dealt with symptoms with the help of my newer GP we just watched levels and waited. Over a year ago I bottomed out and we decided to try with a new endo. A year later and other than the usual tests he will not acknowledge that it’s not helping because well the numbers are within range. Both times I’ve stayed on the meds and been a good patient I gain weight. Help how do I convice my in network dr. about these new approaches? I’ve taken a screen shot of the tests you suggest I want to approach him with the idea of testing the rt3, I am just afraid to be rebuffed yet again. He’s a young dr and every time I bring up the subject of weight gain he finds something from our conversation to explain away my weight gain. Examples. I told him I had done well on paleo (before meds) and my weight was the lowest it had ever been. (mentioning eating lots of nuts) he then spent a long time explaining the high calorie content of nuts and the exagerated portion sizes with which Americans are accustomed. I am 5’4″ and up to 165 lbs. before the meds I was 137 lbs How can I convince him to do these extra tests that I can’t afford to do otherwise?